The family holiday really begins today starting with a family breakfast buffet at Bali Dynasty Resort H2O Restaurant which was included with the package. Even getting from our room to the buffet you could smell the holiday air as the ducks walked across our path and children were running around excited. 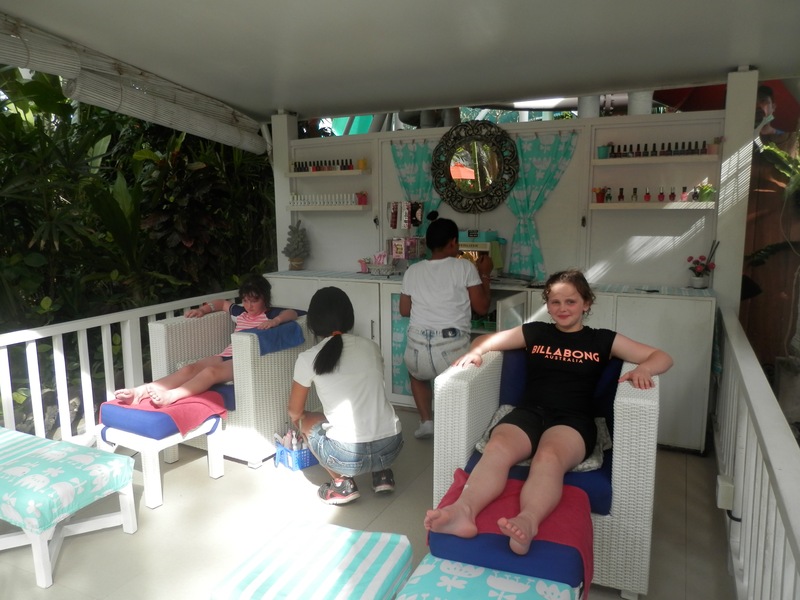 Kara had arrived a few days earlier due to high loads on Jetstar and Qantas flights to Bali so she had worked out the resorts best features and how to access the Kuta Beach. Plus tips on best food stations at the breakfast buffet. Everyone was excited. We head to Waterbom Park via the Kuta Beach, a few hawkers and merchants keen to engage with us and sell their wares. The kids still getting used to this more aggressive (but normally fun) selling style. The Kuta beach is definitely not for swimming in, rocks and dark water at time but the views were still good. We turned into the Discovery Shopping Centre in order to access the road and then Waterbom Park. You notice there is security at most places, leaving the resort, entry the shopping centre and the security point at the Water Park even before purchasing you ticket. Waterbom uses wristbands to pay for items inside the park. You get wrist bands for everything, for your locker, and every time a photographer takes your photo as well (which works out well actually). Waterbom will refund in cash any extra money you paid onto you payment wristband, a nice way to convert to cash without using cash advance. The kids were super excited across the day and went on most of the riders / slides including; Twin Racer, Smash Down 2.0, Constructor, Green Vipers, Python, the Lazy River and the Boomerang. I beat Harry on the Twin Racer and went around on the Lazy River many times. Darby was fearless waving several times when on one of the very high slides. Kara and Erin, and Harry and Darby went on the Boomerang. This really showed Kara was willing to try anything to ensure Erin got to enjoy herself. 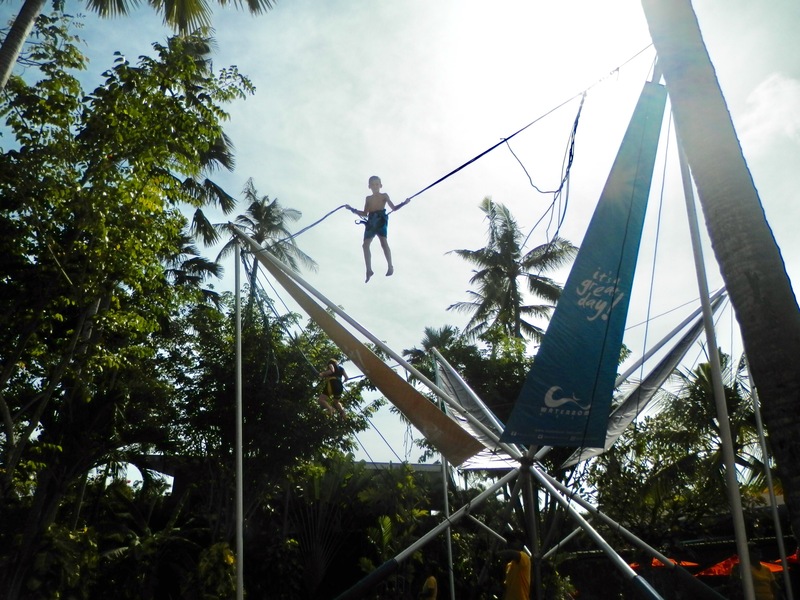 ​The kids also went on the trapeze / trampoline getting very high in the process. 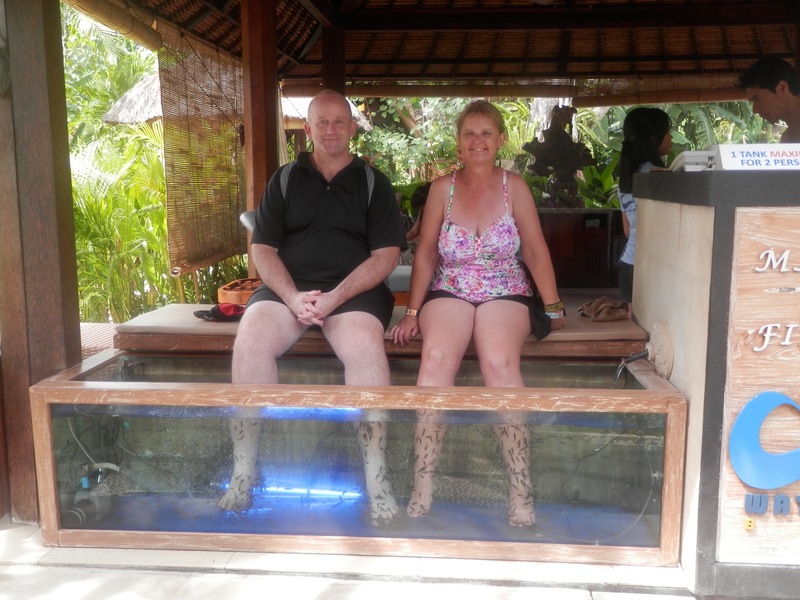 I guess everyone found the Fish Spa Therapy to be fun and a little silly. The fish eating your dead skin off your legs always trickles a little bit. Harry accidentally kicked a fish out of the pool but Kara quickly rescued it. Late in the day both Erin and Darby got a treat getting their nails done up and painted in amazing colours. Harry wasn’t too keen on the 90 minute wait but was happy to spent a little bit of time with me in the sun while we waited. On the way back to the resort my sisters couldn’t help themselves but do a little shopping at the Discovery Shopping Centre. Sandals were on the shopping menu for today. Back at the Resort it was dinner in the main resturant as the kids recalled how brave their were today. I guess sometimes hearing the word awesome a few times doesn’t get old when it’s from excited kids mouths. 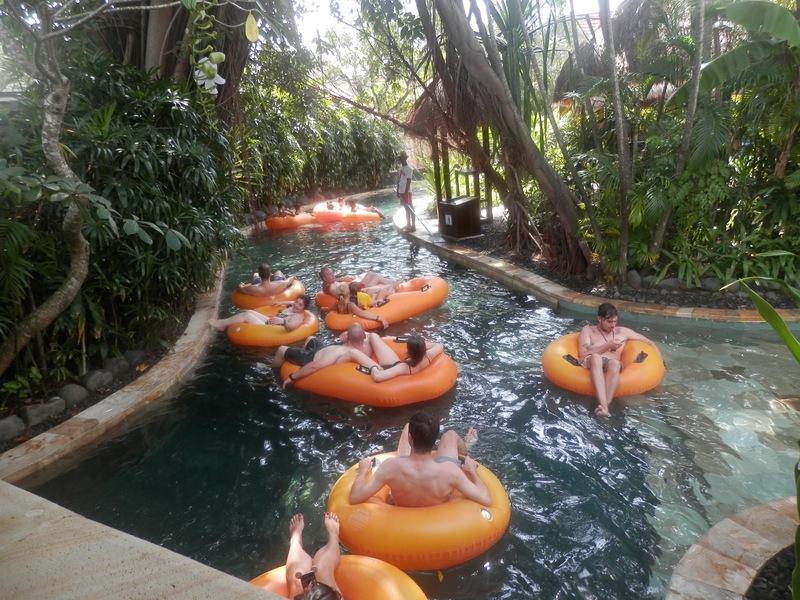 This entry was posted in Bali 2017, Family & Friends, Travel and tagged Bali, Waterbom. Bookmark the permalink.